Use of cameras in the locker rooms, treatments rooms and relaxation areas. Please remember Aqua therapists and other staff are experienced professionals and are there to provide you the highest level of service. We ask that you also treat them with the same respect and refrain from any inappropriate actions, comments or requests that may be viewed as harassing or intimidating. 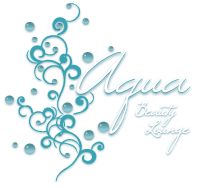 It is our goal to have all services performed in a professional environment. 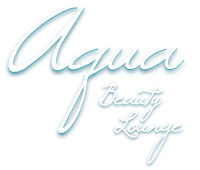 Failure to act in accordance with the spa etiquette may lead to not being welcome at Aqua Beauty Lounge. Demand for services is high, especially on evenings, weekends and holidays. We highly recommend appointments be made several weeks in advance. Our focus is to provide you, our guest, the utmost personalized care in a timely fashion. With respect to both your schedule and ours, we do enforce the following cancellation and payment policy. In order to secure your reservation we require credit card information at the time of booking. You will not be billed until the day of your services and can pay with alternative payment methods. As a courtesy to all guests, cancellations must be made 24 hours in advance of your scheduled appointment time. Should a conflict arises and you are no longer able to keep your scheduled time, we kindly request a 24 business hour notice to reschedule your appointment. All appointments will be confirmed 2 days in advance with a phone call, email or text message. Members that miss a reservation without ANY prior notice will forfeit that months sessions. If you are running late, a phone call is always appreciated. We will reschedule your appointment, if possible. If we are not able to reschedule your appointment time, your services will begin as previously scheduled. Your arrival time will determine the length of your treatment time, which will end as originally scheduled, so our next guest may begin their services promptly. We take great pride in our reputation for quality professional products. If for any reason you are dissatisfied with a purchase we will assist you with an exchange or we will credit your account within 30 days of purchase with receipt. Damaged merchandise due to manufacture defects can be exchange for the same merchandise. If you are dissatisfied with a service you have received, we are more than happy to provide you with the opportunity to return to the salon for us to modify the service. Modifications are booked like regular appointments and are provided at no charge. The only requirements are that you call within 2 weeks of the original appointment, you see the same staff member & the desired look is the same as what was discussed during the original consultations. There is no monetary refund for services provided.